I'm new to this site, and am a university student studying Electrical and Electronics engineering. I just completed a design project controlling a BLDC motor (pretty low powered at 60V, and giving output rpm of about 6000rpm). Now I had an idea where instead of using a single BLDCM for an application, would it make sense to put two identical BLDCMs on the same shaft, in order to give double the output torque? I would operate the two using the same drive as I would use for one, but I'm still unsure of how to take into account a lot of my efficiency calculations. I have a feeling that this would just draw double the power (if not, then only provide half the output power to each motor). Please help me out. I need some answers ASAP for an important project. Re: The best site and forum for beginers. I rather call you the GURU.You had done a good job in starting this kind of site. As beginners like me need such kind of explanation and your site and work proves to be good.Guru i am also working on BLDC ESC.I had undergone many application note from atmel and microchip, Even some thesis.But this site had given me some confidence to start with.I had designed 40A 6 mosfet power stage and back sensing circuits.I want to participate in your work.I will post my schematic of power stage and back emf sensing circuits (EAGLE software is been used).Many methods are been explain for sensing the initial position of rotor as it is highly recommend for good start-up of motor.One of your video posted in the site also shows that you have completed this task of sensing rotor.But you have not given any information about how you did.So guru can you please elaborate about how to sense rotor position by pulse injection method. What is the thread ratio on the screw gears? I am using Sensored BLDC motors for some robotic movements. I am driving my motors using motor drivers. 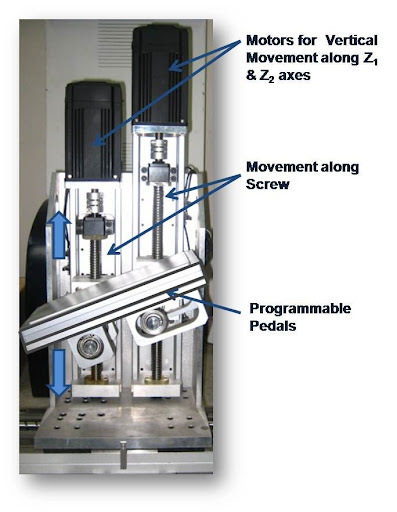 I am using ball screw mechanism for lifting a pedal up and down. On the pedal, there will be always a very high load, placed on it. Now, my motor can lift up the pedal with my desired speed accurately but while going downward, the pedal just goes down freely overcoming the output speed of the motor. In summery I would like to say, when the motors are on downward rotation, they can’t hold the weight of the load and fail to conform to the desired downward velocity; instead they just let the pedal goes down freely until it reaches the lower threshold. First, I wanted to congratulate you on the great information and work you have done related to BLDC in this website. I have bought Suppo 18A ESC which is AVR based ESC(Electronic speed controller). I would like to have a PWM signal generated by LPC2148(ARM based microcontroller). This PWM signal will be the input for the 18A ESC which will drive the motor. Is it possible to drive the AVR based ESC and the motor with an external PWM signal from the LPC2148. The PWM signal from the LPC2148 is a 3.3V signal. Will the AVR based ESC work with this signal or I need to have a 5V signal. If the PWM signal should be 5V, do you know how to make the 3.3V signal amplified to 5V. If the LPC2148 has 4 PWM generators can I link them to 4 ESC's to drive 4 motors. This thread is about the ESC (Electronic Speed Control) Hardware and similar or more generic subjects. Please see BLDC Motors/The Startup in this forum intended to be almost only about the startup topic.